When I was convicted to change the way I handled money at the young age of 22, it wasn’t an educational revelation. It was an emotional and behavioral revelation, because I realized that the problem was ME. A lack of education was definitely one of the factors why I didn’t handle money well, but ultimately, it was my bad behavior and irrational thought process about money that led me to a ton of debt at a young age. If you’re sailing along in life with debt and you think that you’ll be okay once you start making more money, you might already be exhibiting bad financial behaviors and ways of thinking that could lead to a financial disaster. I completely agree with Dave Ramsey that personal finance is 80% behavior and 20% knowledge/education. Here’s 7 warning signs that the problem is YOU. Buying Stuff Makes You Feel Good. Is buying stuff therapeutic for you? Does it make you feel better to go out and buy a bunch of stuff at the mall? If so, counseling would really help, because there’s probably a bigger emotional issue that you’re compensating for. You ALWAYS Need The Best and The Latest Thing. Do you constantly crave the latest and greatest gadget? Do you NEED to stay up with the latest trends and fashion? Is your current stuff just never good enough? If so, then you’ve got a big case of Stuff-itis, and you simply just need to grow up and practice self-control. You Consider Expenses To Be Investments. If you find yourself rationalizing purchases on furniture, cars, boats, or gadgets by tricking yourself into thinking they are an “investment,” then you’ve got a serious behavioral problem. This might be an education problem for some people, but most of us know that a piece of furniture is NOT an investment. It loses almost all of its value after a couple years of use. You Avoid Budgeting. If you keep turning down your spouse to sit down and write out a budget, then you’re just trying to avoid what you don’t want to know. You know that if you sit down and write out a budget that you must stick to, it’ll expose all of the spending that you do and it’ll force you to stop spending in areas that you don’t want to give up. You’re Hiding Purchases From Your Spouse. If you find yourself sneaking around your spouse and making purchases they don’t know about, that means you probably shouldn’t have purchased it. This can lead to a lot of big issues, including mistrust between you and your spouse. You should definitely seek marital counseling if you and your spouse aren’t being honest with each other with your finances. Using Credit Cards Comes Natural To You. If swiping the credit card is second nature for you, chances are that you don’t pay them off at the end of the month and incur huge interest charges. Most people that use credit cards responsibly don’t use them very often and it literally hurts when they do use them. You Make Fun Of Frugal People. I was such a victim of this. It’s so easy to poke fun at the “cheap” people. But, those cheap people might be saving up for something bigger and better, and going out to eat isn’t in their budget right now. There are definitely some people in this world that are TOO frugal, and they need to loosen up, but watch out before you make fun of people for being frugal. You may learn something from them! I’ve learned a lot in the last 5 years of writing about personal finance, reading about it, and reading your great comments. What I keep learning the most is that personal finance is mostly about self-control and making wise decisions. 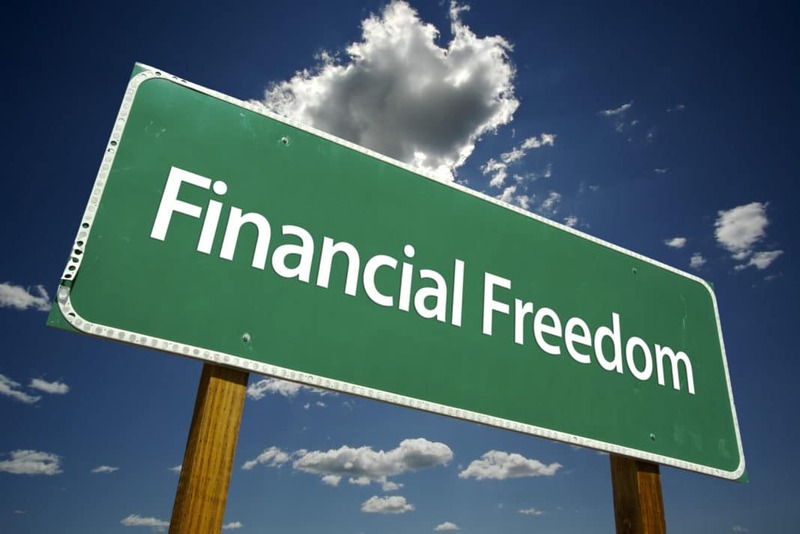 When you change your personal behavior, a small amount of personal finance education will go a long way to becoming financially independent. What are the bad behaviors that you struggle with most?